I love water but it probably comes as no surprise that we don't drink as much water as we should. Here in North America, most of us have access to clean drinking water right out of the tap, but if we live in a city or a town, that water is usually treated with chemicals like chlorine and fluoride. So what do those chemicals do to our bodies and our health when we drink and bathe in it every day? According to the Institute of Medicine, men should consume 3.7 liters (about 13 CUPS) of water through food and drink every day, and for women, it's 2.7 liters, or about 9 cups - more if you're pregnant or breastfeeding. If we work out or sweat a lot on a hot day, we need more. Even mild dehydration can cause headaches, fatigue and make you feel a little bummed out. When I learned the volumes of water used, and contaminated by, hydraulic fracturing, and saw the documentary, Tapped, I realized how precious and rare clean, drinkable water is. Access to clean water is becoming increasingly scarce. Ideally, we could all drink filtered water and bring it with us in use reusable bottles when we're away from home. 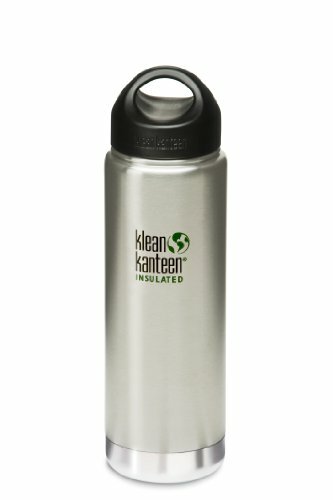 I love my glass "Tap is Terrific" and stainless steel Klean Kanteen bottles. Drinking clean tap water isn't an option for everyone, though. Bottled water seems great in theory. Clean and convenient, easy to grab and go, available in pretty much every grocery or convenience store... but the bottled water industry is controlled by very few (large) companies, and they TAKE the water from nature and sell it right back to us. It's a booming business. We pay 2000 times the cost of tap water to buy it in a bottle. 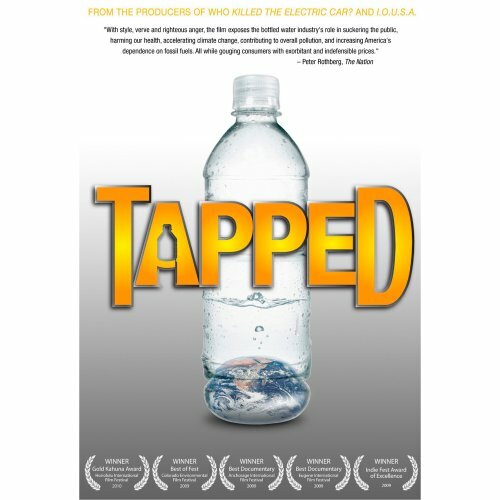 In Tapped, the film opens by showing how Nestle came into the small town of Fryeburg, Maine, under the name Poland Springs, and mined their water using eminent domain. Jim Wilfong, former Assistant Administrator in the Clinton Administration, lives in Maine and is interviewed in the film. He says, "Nestle and other large water barons are out trying to tie up the rights to water...It's all about control." Nestle's Chairman of the Board, Peter Brabeck-Letmathe, does not think we have a right to our water. In 2016, Nestle outbid a small Ontario town in Canada for the rights to their well, to ensure "future business growth." I don't know about you, but that's not OK with me! Not to mention, the plastic bottles used for bottled water have also been shown to leach over 24,000 endocrine (hormone) disrupting chemicals into the water they contain! And we pay 2000 times the cost of tap water to drink that chemical soup. Tap water is typically chlorinated and it has allowed most of us to rely on having drinking water that won't make us sick because the chlorine kills most waterborne bacteria that can cause disease. But it doesn't kill all of the harmful bacteria all of the time, or remove any other contaminants. The chlorine itself isn't the best thing for us either since it can react with organic matter in the water and form trihalomethanes, or THMs. One THM we all know, actually, is chloroform. Your know, that old-school chemical used to knock people out? Yeah, that. It's also a probable human carcinogen. You know the smell of chlorine when you're near a chlorinated pool, but did you know the allowed levels of chlorine in tap water are higher (4 ppm) than what's recommended for a pool or spa (1-3 ppm)? I grew up with a well in the country and naturally clean water, but now, like many people, the water we get comes to us chlorinated from the city water system. Necessary, I'm sure, but I don't want to drink or bathe in chlorine now that it's done it's bacteria-killing job. Since we get more exposure to THMs like chloroform through bathing and showering than we do through drinking chlorinated water, I make sure to use these every time I have a bath or shower! They don't eliminate all the bad stuff because no consumer filter can, but they help. 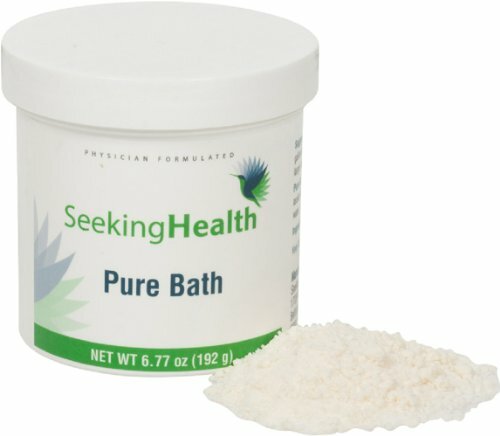 On the left is this stuff called Pure Bath which is essentially just ascorbic acid (Vit. C) that reacts with and neutralizes the chlorine in the water. Add a scoop to my bath water, no more chlorine. 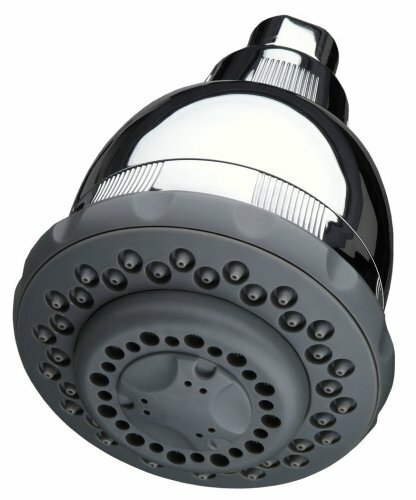 On the right is a filter showerhead that removes most of the chlorine in the water. I could smell chlorine when I showered before I got this filter, but now, no smell at all. The results chart and unopened test strip. Tap water test strip on the right next to the results chart; water treated with Pure Bath according to instructions on the left. The difference is subtle (great to discover my tap water is not heavily chlorinated!) but the Pure Bath clearly eliminates the little chlorine that was there. It also made the water slightly more acidic which makes sense because ascorbic acid was added! This is the result of water collected from my shower that ran through the Culligan shower filter! Also, no more chlorine, no matter how little, and like I said, I could smell it before I got the filter and I can't smell it now. 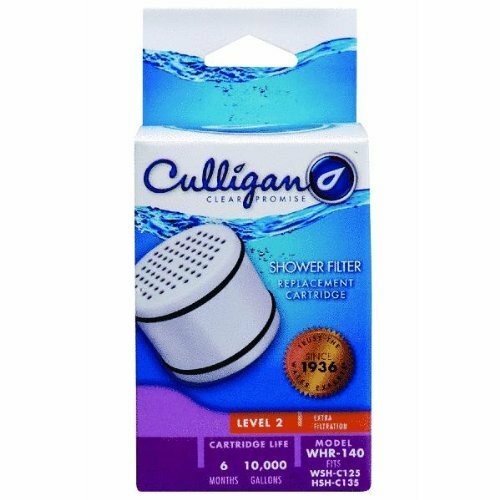 It also reduced the water hardness a touch, which the filter says it does (reduces scale). My hair and skin thank me for using filtered water, too. They are much healthier without the dryness that plagued me before I used these products. The filter that goes in the showerhead need to be changed every six months, so I have it as part of my "subscribe and save" items (see image at right) that I order on Amazon and it's scheduled to be shipped to me every six months so I never have to remember! The images without "My Whole Healthy" on them are Amazon links if you want to investigate further or purchase. So that takes care of bathing. What about drinking water? 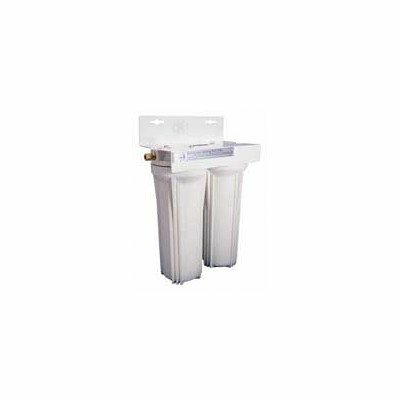 For several years now I've used a Cuzn undersink filter that filters out both chlorine and fluoride. I purchased it from Friends of Water. Finally, the chlorine test for my Cuzn undersink filter! No chlorine in its filtered water. Unfortunately these tests do not test for fluoride. I will look for a way to test my water for that and update this post if I can do it! Why filter out the fluoride you ask? Isn't it necessary for healthy teeth? Filtered drinking water from my undersink filter. We drink and cook with this water only. Probably not. And the fluoride that's currently added to our drinking water is industrial waste from phosphate mining. It's often contaminated with arsenic. Studies also show that fluoride is a neurotoxin. My brain has enough to do without having to deal with neurotoxins, so I choose to filter it out of my drinking water, and use a fluoride-free toothpaste. My dental check-ups are great and I haven't developed cavities since my water or toothpaste switch. I do make sure to floss every day though and brush thoroughly. I have a Sonicare electric toothbrush. Despite being unhappy with the treated water I get, I shouldn't complain. There are a lot of people who don't have a well in the country, or access to a city or town water system. Did you know that, according to the Environmental Protection Agency, one in three Americans get their drinking water from streams that are vulnerable to pollution? Tapped lfocuses on the bottled water industry and its frightening actions and power, but if your water is polluted, maybe your only option IS bottled water! And you're stuck paying exorbitant prices for it. We need water to live, it's imperative to good health and we should drink more of it, but it's pretty clear to me that we need to stick with tap water, remove the chemicals, work to clean up and protect our polluted stream and rivers, and use reusable bottles to bring water with us when we leave the house. Water is just too important to be ignored or assume "ah, it will be fine." Because it won't. Do you buy bottled water? Do you bring your own? Do you filter your tap water? Do you drink enough or do you struggle with that? I'd love to know what you do and any "water woes" you may have. Let me know in the comments below this post!